To help save on cost, within the self-publishing industry many authors designs their own cover. Here are three tips to help guide you in the right direction. Focus on the important copy of your cover, such as the title, subtitle, author name, and review blurbs when available. Don’t clutter your front cover with too much info or images, zero in on one image. Stay consistent with the colors of the text, and use it wisely. With regards to type, certain fonts have a very specific mood and tone so be creative with the type, but ensure it is legible, complements your imagery and sets the right ambiance. With regards to fiction you have much more flexibility and can get away with the use of short titles, keep in mind that the space on the cover is very limited, so you want to make an impact. .2. Designing for the web and print is the same, right? Wrong. When designing for both print and eBook formats, it is important to realize that the print resolution (DPI – Dots Per Inch) is different when designing for the internet. If you plan to print the cover make sure you have at least 300 DPI. For eBooks anything from 72+ DPI will work. Your print provider will probably also request this, but when saving your file for the printer I recommend you saving it as a PDF file. This will ensure that the layout and colors stay intact. Also, always order test prints before submitting your entire order. Designs when printed always look different then on the screen, so you want to have a one last look over before you commit to it. Ever hear people say “Good Photography Isn’t About the Gear?” Well, with design it is. Not only do having access to the right tools matter, but more importantly, knowing how to use the tools is the integral part of creating fabulous graphics. Having a good understanding of cover design guidelines and overall graphic design principles, can only take you thus far. When creating artwork that presents quality, one must know how to use the graphic design software. There is no way around it. Sign up for a class at one of the local universities. If your heart desires to design, this will be a valuable investment. You think you may be good now, but wait until you discover this whole new world, where before things you only could dream up, are no longer dreams but you will actually be able to create it. I promise, you wont regret it. Bonus tip: Study other book covers that you admire. Analyze what components works and what doesn’t work, and then study some more … and then some. Although, as a visual design professional, the best advice I can give a self-published author, it may not come as a surprise, is to invest in a good quality cover right from the start. You may save cost upfront by designing it yourself, but what will it cost you in the long run? Selling your book will probably be the biggest challenge you are going to face. 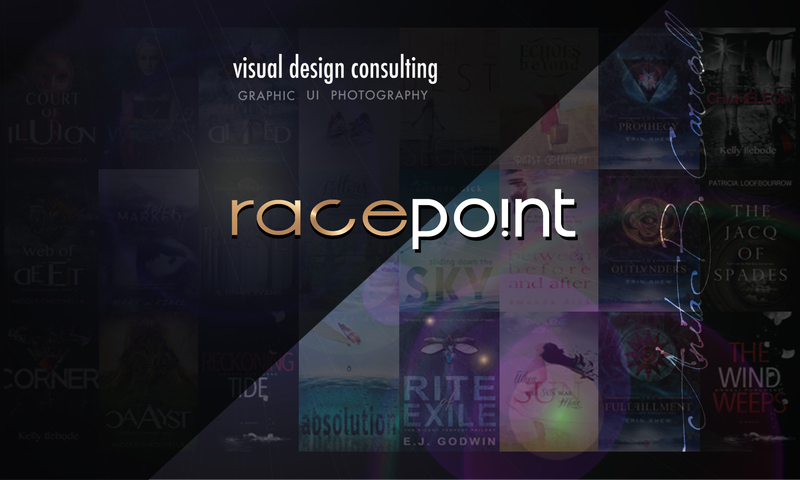 Keep in mind that your cover design is the very first interaction your readers will have with your book. Don’t skimp on the very thing that will grab your reader’s attention. Writing it was the easy part, so it is important to recognize your strengths and weaknesses, and make good business decisions in order to reach your business goal. Remember what your goal is. Is it to sell your book, or feature your skills in graphic design? Anita’s work has been featured in the KOBO Writing Life, Anneli’s Place, Monadnock Living Magazine, Amherst Citizen, The Milford Cabinet, and The Union Leader. Over the past 17 years, Anita has gained experience in both the United States and Norway, and is currently working out of her home studio in New England—US, where she works with clients from around the world. Thank you for your insights and knowledge on this. Much appreciated. I’m an author-publisher.